Item # 279433 Stash Points: 297 (?) This is the number of points you get in The Zumiez Stash for purchasing this item. Stash points are redeemable for exclusive rewards only available to Zumiez Stash members. To redeem your points check out the rewards catalog on thestash.zumiez.com. 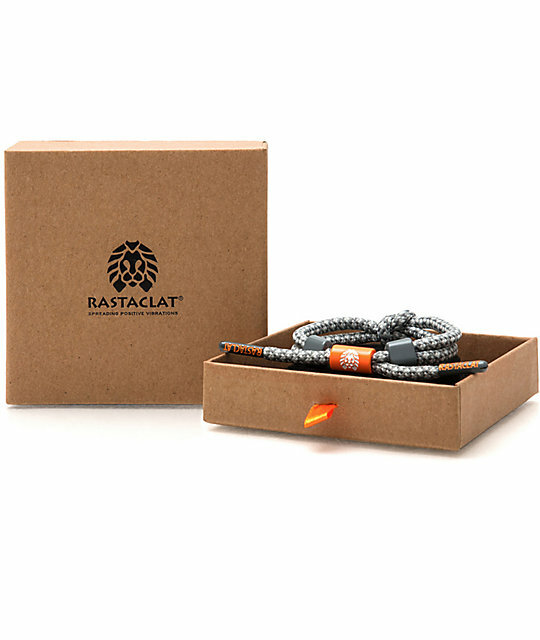 Get the look without breaking the bank with the limited-edition Beluga bracelet from Rastaclat. Offering a Miniknot design with a white and grey rope colorway and neon orange emblems. 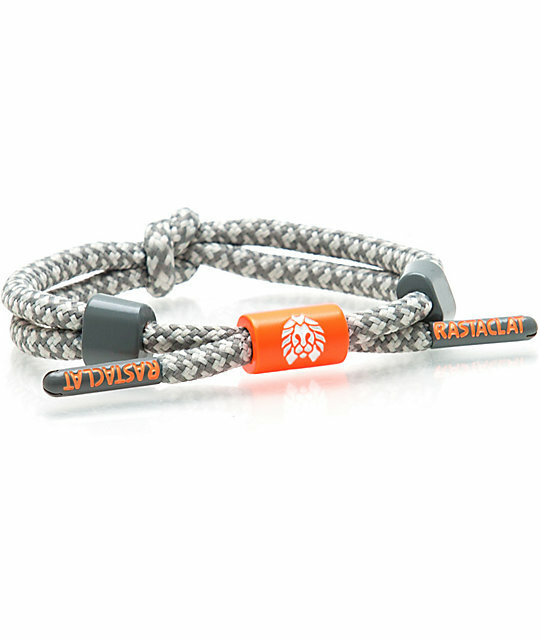 Grey & white rope w/ neon orange emblems. Special edition YZY Miniknot design. One size fits most (6"-8" wrist).